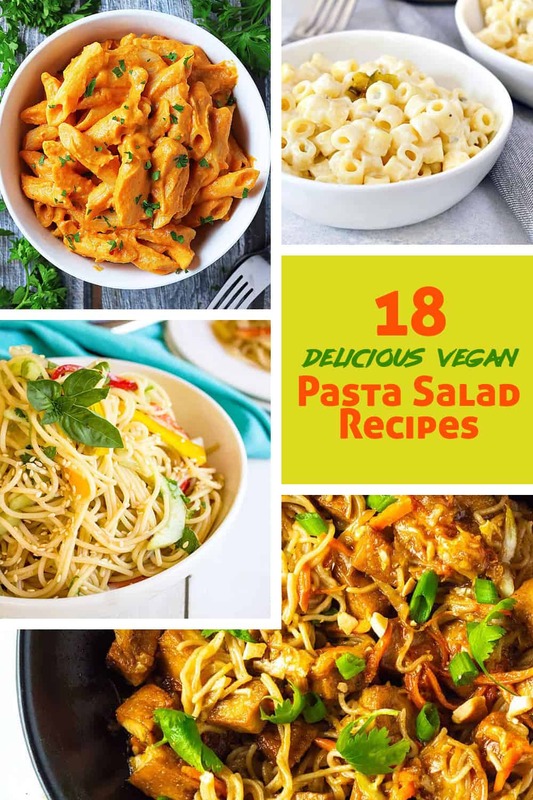 18 Vegan Pasta salad Recipes that are versatile and mouthwatering. They are great to serve for lunch or dinner. This collection varies from the classics, like macaroni salad and Italian pasta salad, to new ideas, like peanut and Hawaiian pasta salad. 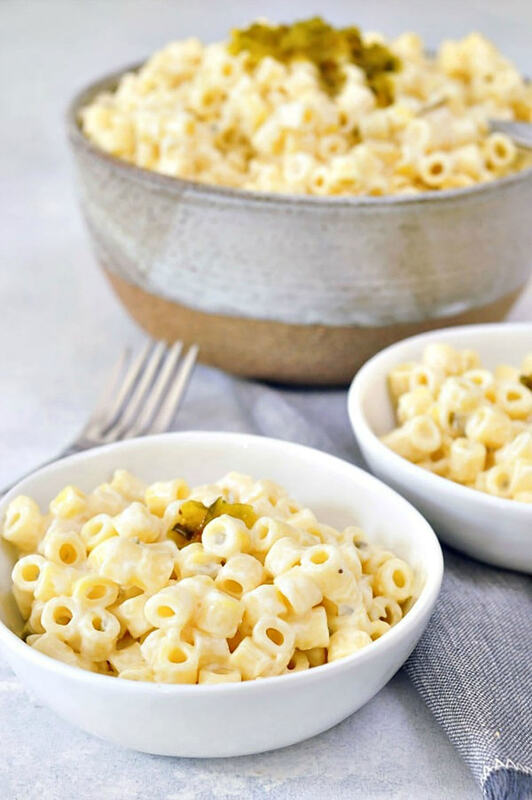 I have included fellow blogger recipes that don’t explicitly use gluten-free pasta since it’s an easy switch to whatever your favorite brand of pasta is. 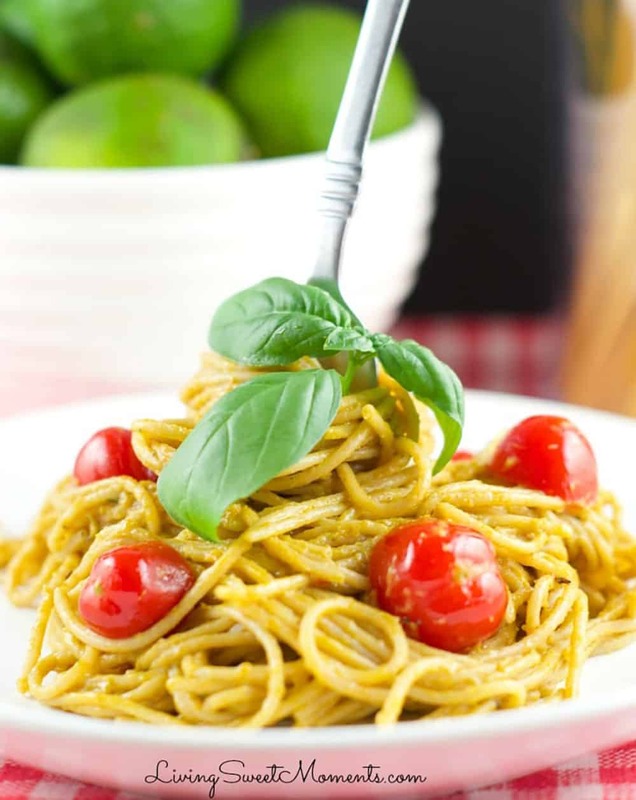 You can find gluten-free pasta in most major supermarkets and online. 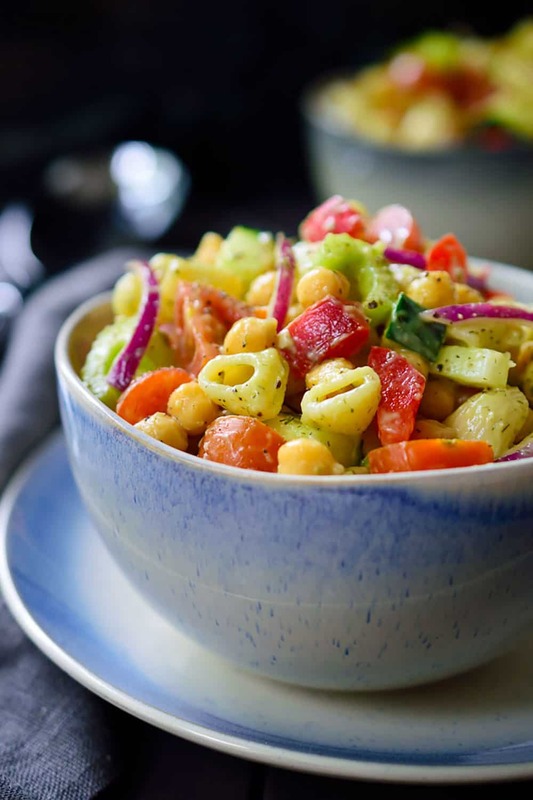 A yummy veggie-filled lunch option is my Vegan Italian Pasta Salad. It is full of flavor, and your favorite protein option can be added to make it a full meal. This summery salad is a delicious way to bring the warm weather to winter. 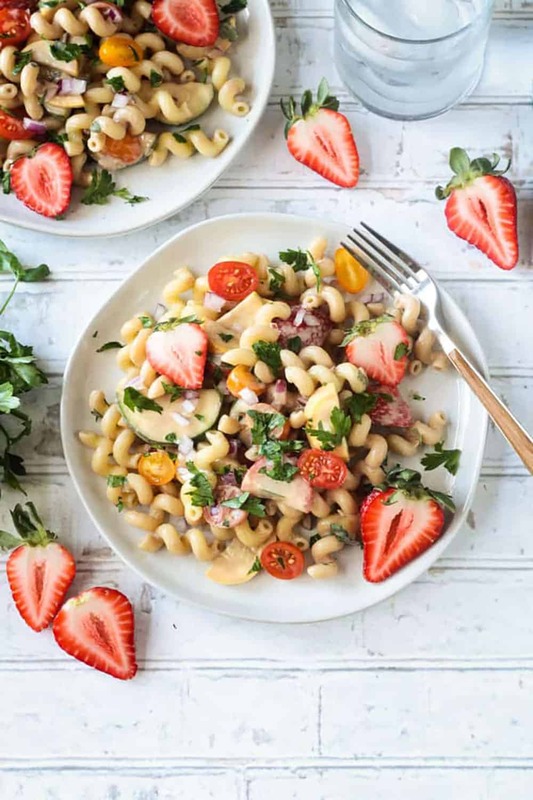 This creamy Balsamic Pasta Salad is full of fresh fruits and veggies and is just a piece of summer in your mouth. 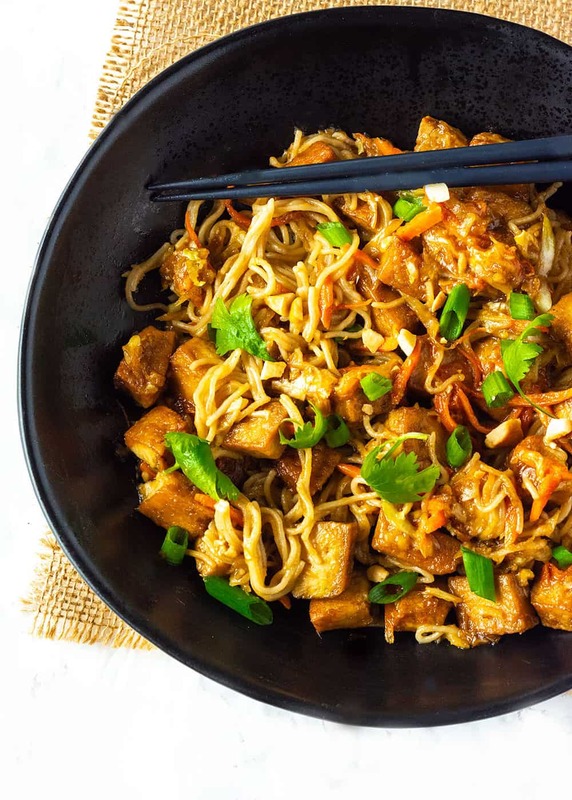 This delicious Peanut Noodles with Tofu recipe tastes so amazing with just simple ingredients and it even tastes better than any take out! 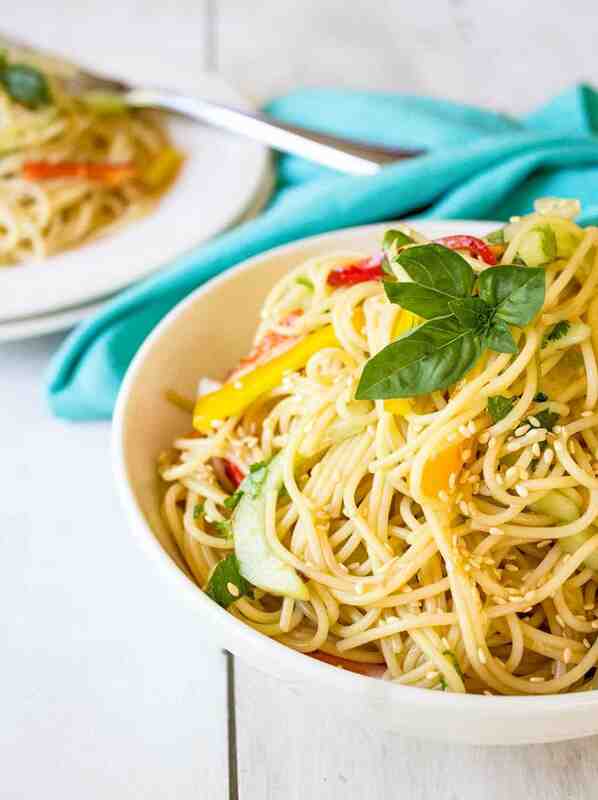 Prepare this easy Asian noodle for your friends and family, eat right away or serve as a cold noodle salad. 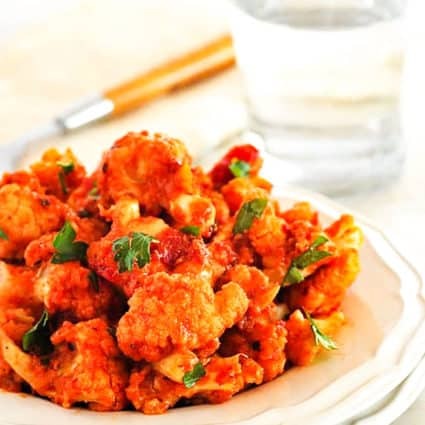 This is a fun variation on a classic bbq dish. Hawaiian-style Macaroni Salad uses pineapple to take this pasta salad to the next level. Try with veggie hot dogs! This Avocado Pasta Salad is super customizable. 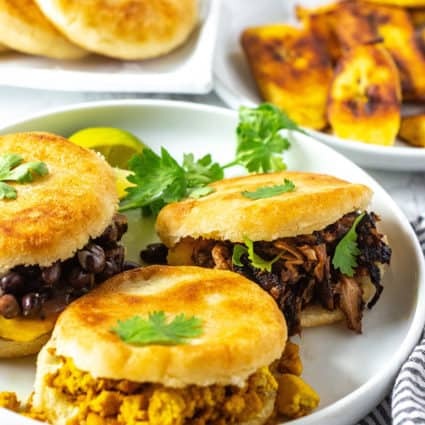 The recipe is ready for you to make and love, but will still taste great if you switch out some seasonings or vegetables as well. 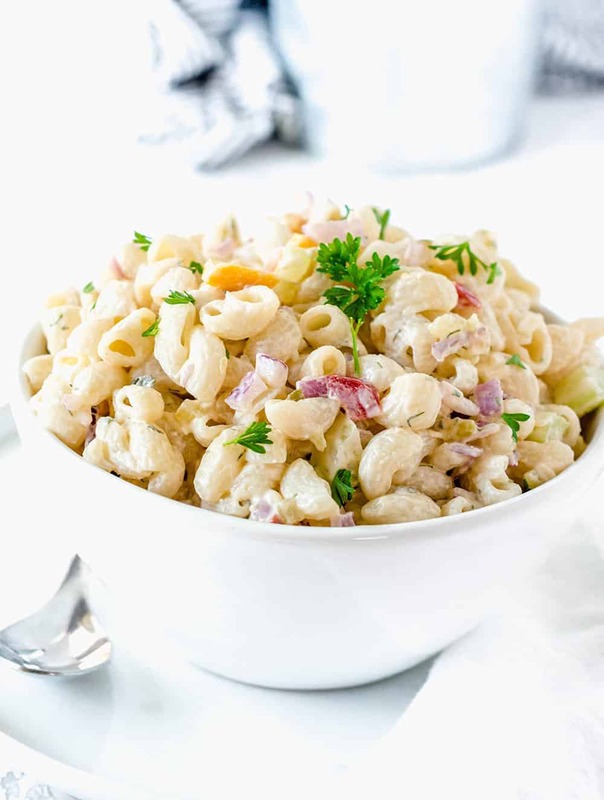 Macaroni Salad is an age-old classic for every family occasion, holiday, and cookout. But it is usually full of ingredients you may not want to use and can be lacking in flavor. However, not in this recipe! 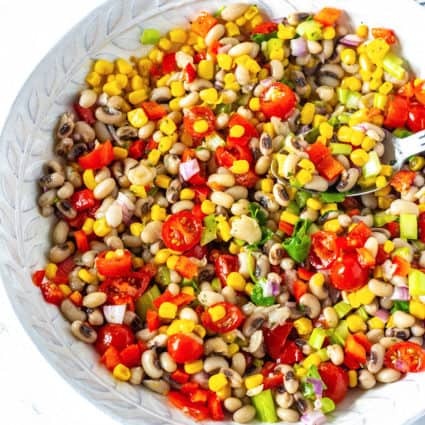 I definitely love a good Southwest Pasta Salad, with classic black beans and corn, and with a vegan chipotle ranch to boot, this recipe is a winner. Butternut squash is one of those flavors that will make any dish feel warm and inviting. 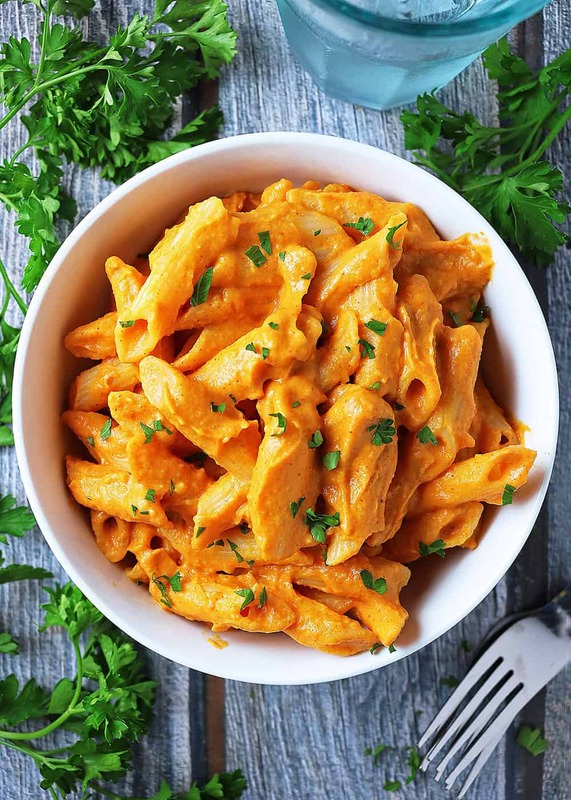 This Coriander Spiced Butternut Squash Pasta will make such comforting bowl for dinner. If you think of Thai food, one of the first few things will probably be pad thai. 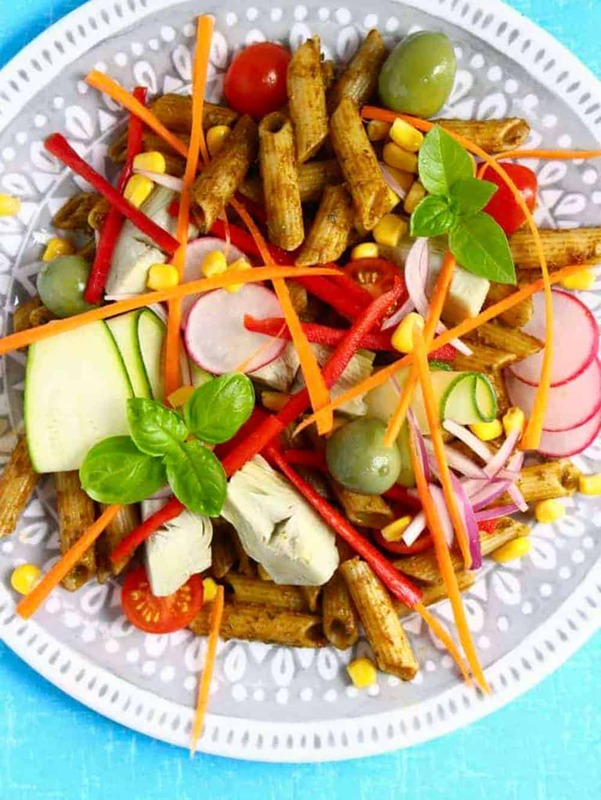 This Thai Pasta Salad is a much lighter but still delicious dish that you can add practically any combination of vegetables to. Everyone loves a creamy sauce, but have you tried it with avocados? This Roasted Pepper and Avocado Pasta will be ready in 20 minutes, without the need for you to make any complicated cream substitutes, and will taste anything but basic. 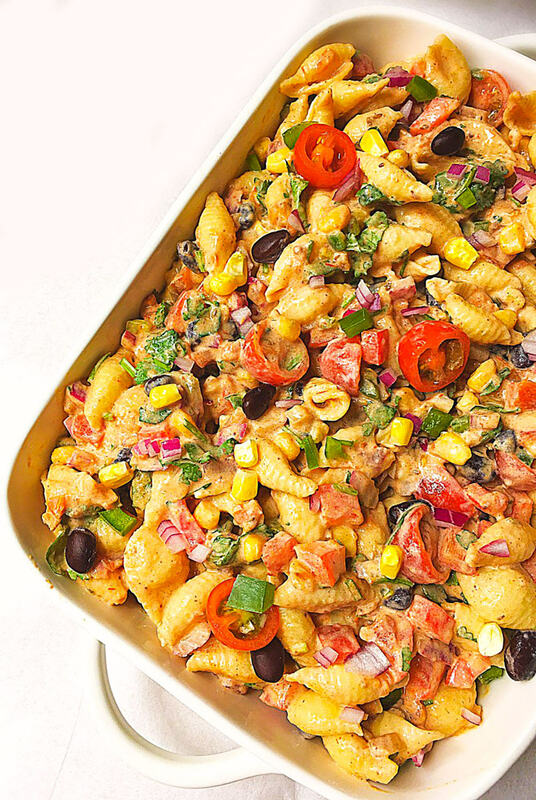 This delicious creamy pasta salad has vegetables, herbs, spice, and every other important aspect of a good meal. 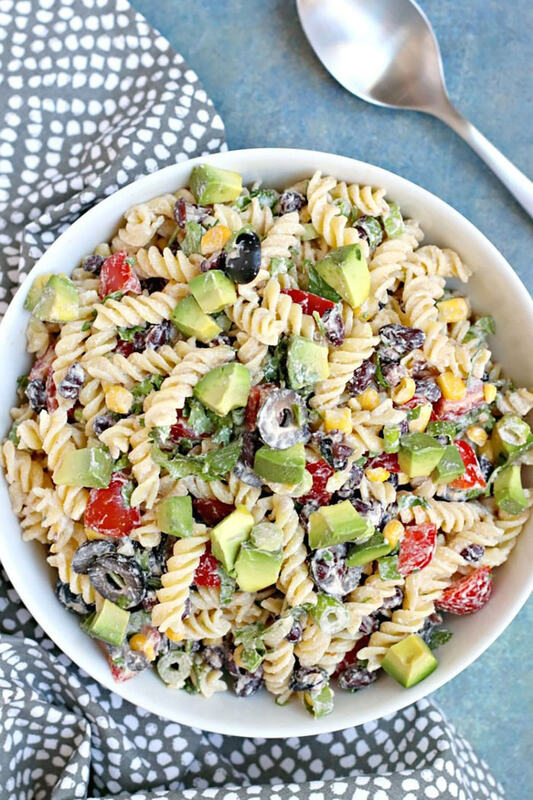 Mexican Spicy Bean & Pasta Salad will taste like a fiesta! The pesto is only the tip of the iceberg in this recipe. 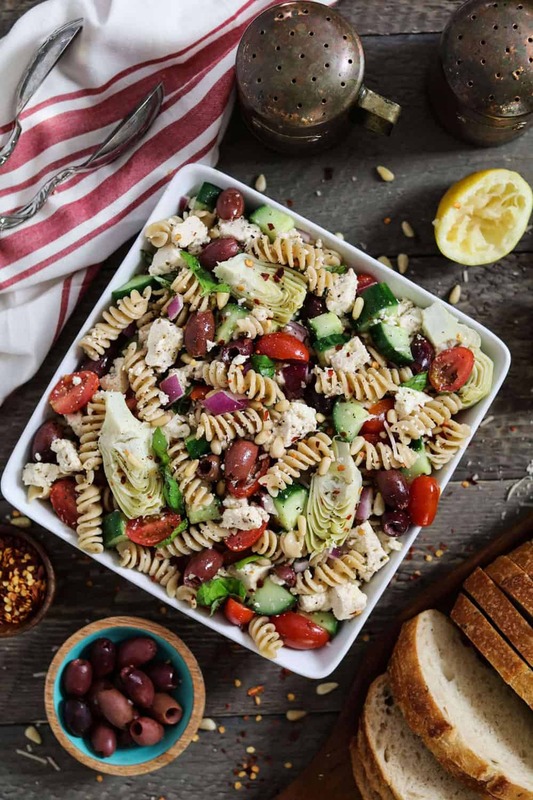 Adding zucchini, red pepper, artichoke, and more, make this sundried Tomato Pesto Pasta Salad a tasty but healthy lunch or dinner option. It is surprising that it isn’t more popular to put hummus on pasta. 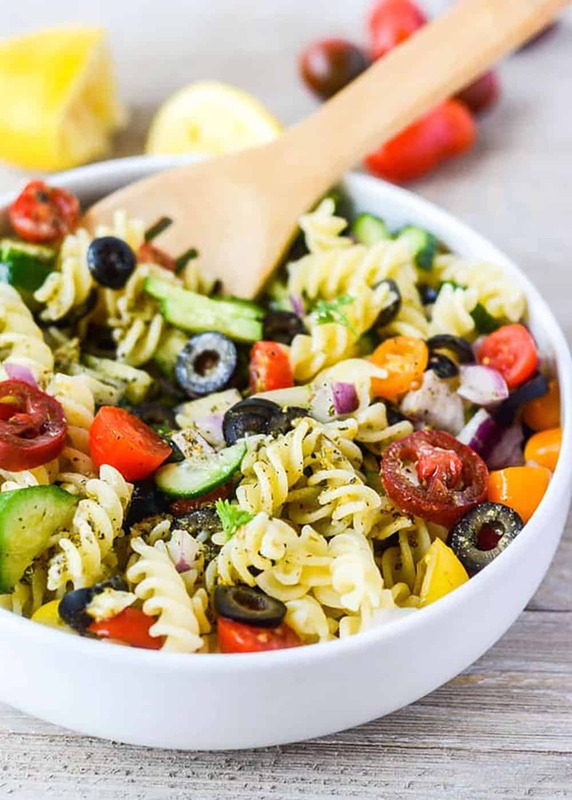 With this Pesto Hummus Pasta Salad, it adds additional flavor and creaminess to make this perfect for your next meal. A perfect dish for dinner is one that cooks quickly but tastes amazing. 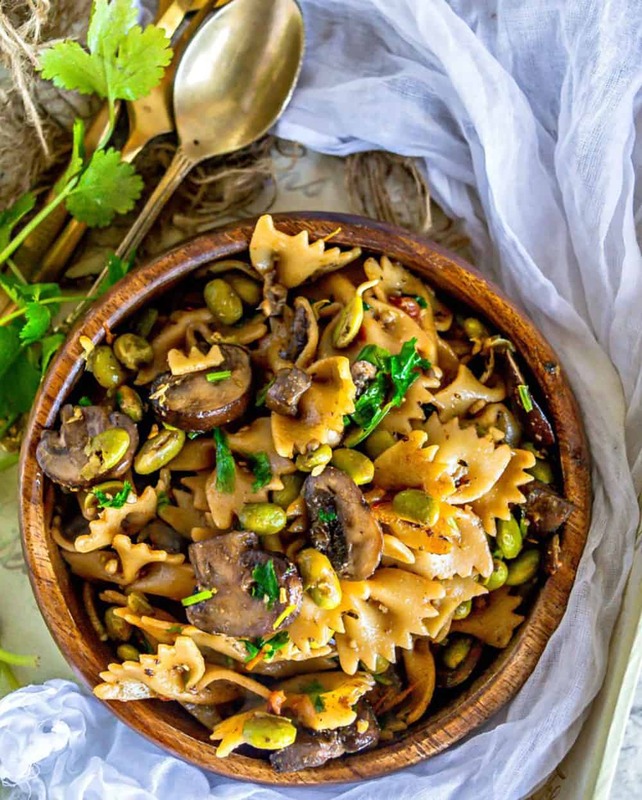 This Edamame Mushroom Pasta Salad is definitely one of those things. Edamame is full of protein, so this dish is filling as well. This pasta is absolutely filled to the top with grilled vegetables and a tart cherry balsamic glaze. 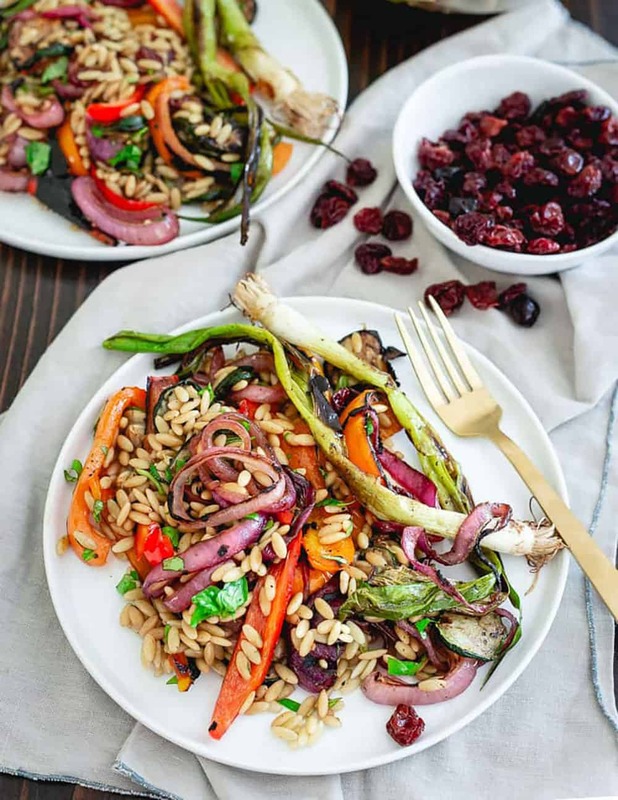 Grilled veggies add such an amazing flavor to any dish, and this Tart Cherry Balsamic Grilled Vegetable Orzo Salad is no exception. Did you think I forgot a classic? 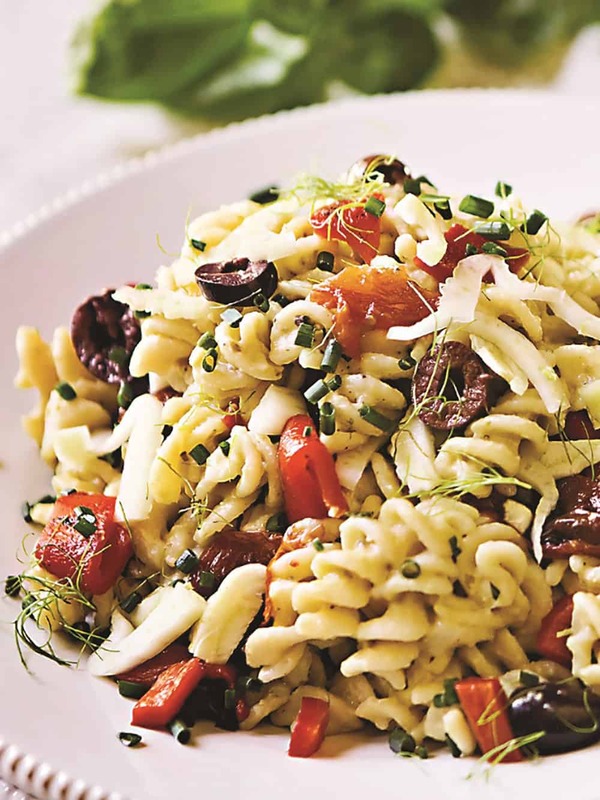 Of course, this list wouldn’t be complete without a Mediterranean Pasta Salad, which is vital for any occasion and even for weekday lunches. 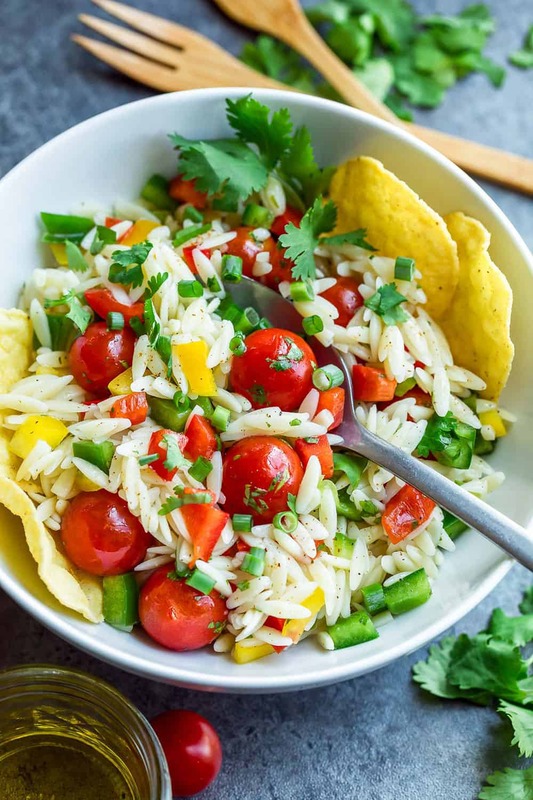 This is called a Healthy Orzo Pasta for a reason. It is purely orzo and vegetables, and a choice of two dressings that you can choose based on your preference. Definitely an amazing option for a quick lunch. 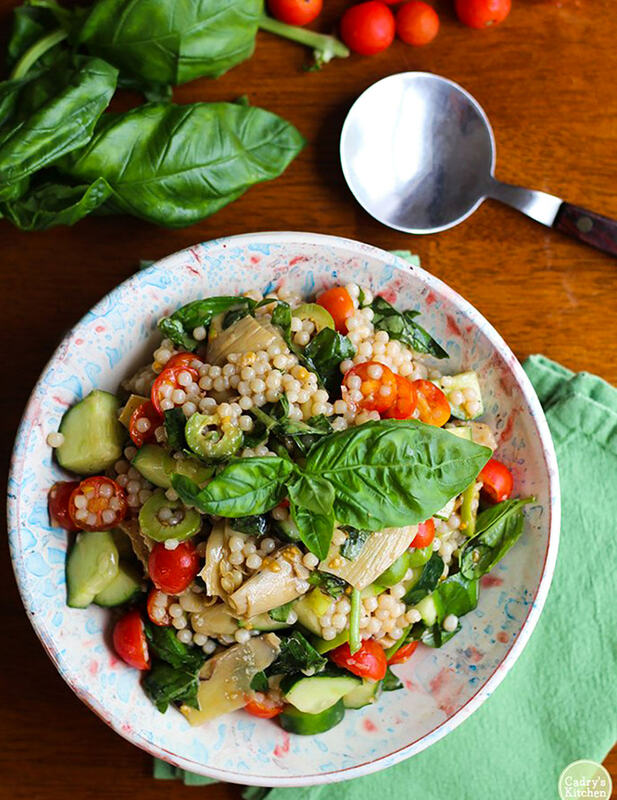 This Israeli Couscous Salad is filled with so many flavorful ingredients, such as green onions, olives, artichokes, and basil. It is guaranteed to be a favorite of yours.